Recently I spent several days in Northern Arizona, with stops in Coyote Buttes, Whitepocket, and remote slot canyons, to name a few. Some popular spots, some not so well known. I needed the dichotomy of bright skies during the day to give reflected light in the slot canyons, and big skies at night for my sunset and sunrise shoots. 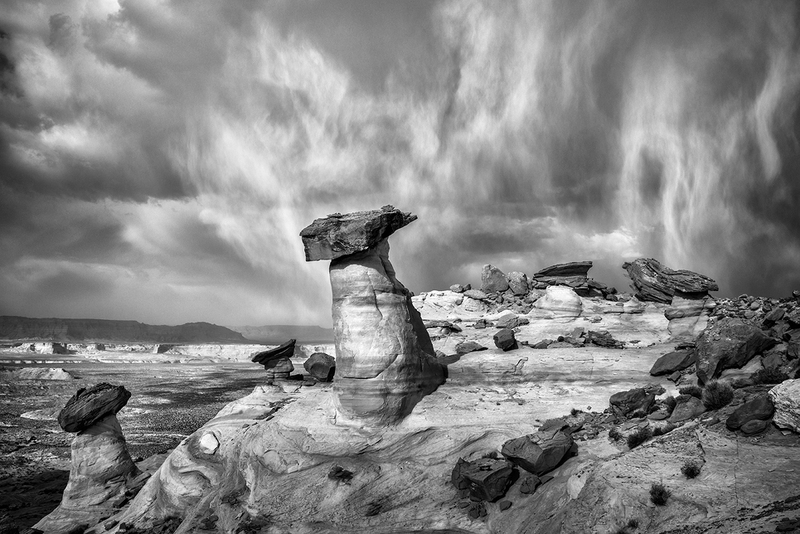 One particular day I got an incredible show of light at Stud Horse Point. 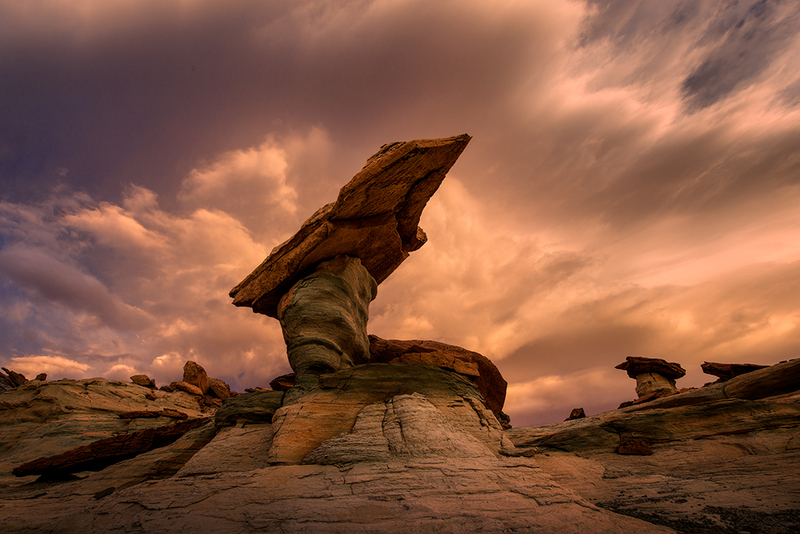 Stud Horse point is an oft-photographed location, both because of its visual interest, and because it is readily accessible, just a short drive outside Page, Arizona. I drove there mid afternoon one day, but had no data access prior to check the weather conditions. There were 40mph winds all afternoon, progressing into the early evening. Being that it was my first time to the area, I did some scouting, but ended up having to seek refuge in my car from time to time after getting blasted with sand in those strong winds. In doing so, I missed a brief rainbow (shucks), but late in the afternoon noticed a wonderful Virga formation in the sky.